This was probably the most popular item on the menu for our Food Revolution Day event held a few weeks ago. The competition was pretty stiff, I mean up against Irish Soda Bread or Venetian Carrot Cake, a lentil soup doesn’t seem like it has a chance! But on a cold day, nothing really hits the spot like Tae’s soup…..
For this soup, red lentils are used as they cook faster. Tae also recommends a tin of cherry tomatoes because they are generally sweeter. If you can’t find them and think your soup is a little tart, add a couple of tsp of sugar. Nutritionally speaking, this soup is great. 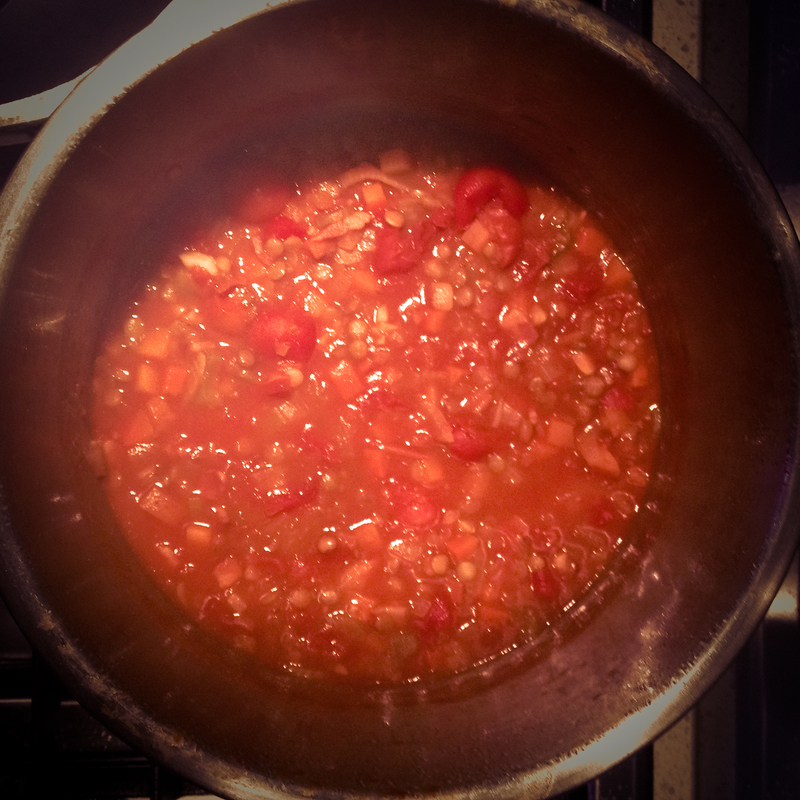 Lentils are low GI, protein packed pulses that are a gazillion times better than putting pasta in your soup! It turns out that tomatoes actually improve nutritionally through cooking (must be one of the very few vegetables that do)! This entire pot of soup adds up to 1000cal, so if you even just had 4 GIANT servings from it, you are doing very well on the calorific in-take. Chop the pancetta into small cubes and fry it in a large pot until the fat renders. Add the onion and cook until tender, then the celery, garlic, chilli and carrot and cook for a few minutes. Put in the stock and tomatoes and bring to the boil. Add the lentil and let simmer until they are tender. Serve with a really nice sourdough bread.